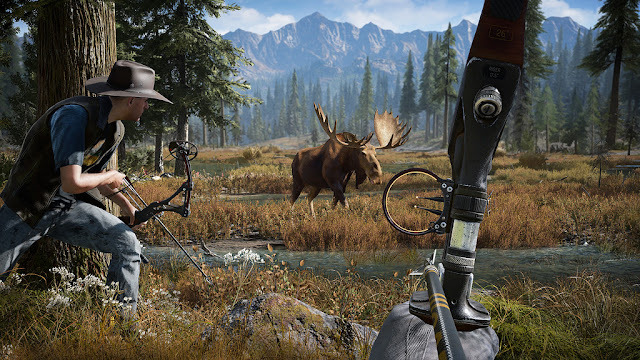 Far Cry 5 won't take place in some exotic far-off region like Far Cry 4's Kyrat, or an ancient history setting as in Far Cry Primal - it'll be bringing its first-person mayhem to the US of A. The fictional region of Hope County, Montana is thrown into disarray by a cult known as the Project at Eden's Gate, led by the charismatic Father Joseph who advocates religious fanaticism and militia-style stockpiles of high-powered firearms. 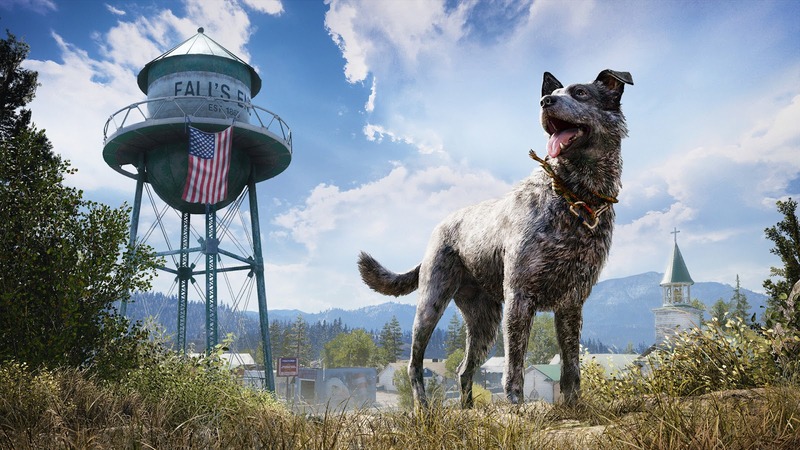 As Hope County's newest deputy sheriff, you'll have to band with the unturned townsfolk to take down Eden's Gate in the most chaotic ways possible - including aerial dogfights and bombing runs in a pilotable plane, or vicious takedowns using pitchforks, sledgehammers, or trusty animal companions, to name a few options. 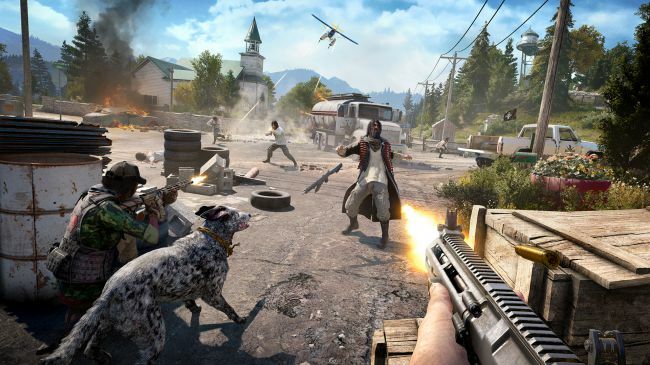 Once you’ve completed the intro section of Far Cry 5, all you need to do is send an invite to someone on your Friends list (who has also completed the FC5 intro) to get your co-op session going. Your friend will spawn into your world seamlessly, and the two of you can get busy liberating Hope County. Every mission is playable in co-op, but there are also Challenges and a bevy of other activities you can take on, not to mention simply roaming the open world and causing havoc for the cultists. “We had to look at every system and every kind of mission and activity we created, and make sure that it was co-op compatible,” says Clark Davies, the Lead Game Designer on Far Cry 5. This included developing features to streamline teamwork, like having each player see their own loot, so there’s no fighting over resources. If your teammate is running low on ammunition, a prompt will appear over their head to let you share ammo and medkits to help keep them in the fight. And if any disagreements should arise, take comfort in knowing that friendly fire is disabled by default, though you can enable it if you want to put your friendship to the test. Both of you will appear as your customized characters and both of you will keep any player progression you make during your co-op session, including currency earned, items purchased, perks unlocked, and more. Only the host will keep any world progression, however, including quests completed, quest rewards, outposts liberated, and completion of other open-world activities. Also, only the host can recruit an AI ally to join your merry band using the Guns For Hire system. Challenge accepted. 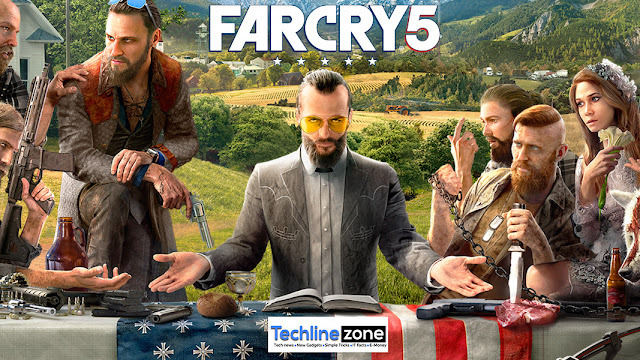 Far Cry 5 arrives on PlayStation 4 February 27, 2018, and co-op play will require that both players have PlayStation Plus memberships. To learn more about Far Cry 5 and place your preorder, visit the official site. Thank you so much for sharing this pretty post, it was so good to read and useful to improve my knowledge as updated one, keep blogging website link. In the event that you need to profit by a gaming PC with genuine diversion play,discover this at that point this guide will enable you to see how the best gaming PCs work. Quantic Dream developed Heavy Rain with a whole new style than other games. The gamer will experience real life day-to-day events while playing this game,unblocked games and also real life emotions. This game will be released in the first quarter of 2010. On the off chance that that is there, at that point diversion is guaranteed by the most recent computer games. Games, for example,happy wheels unblocked street rash, hustling, riddles and others allure gamers with their different facinating targets and levels.